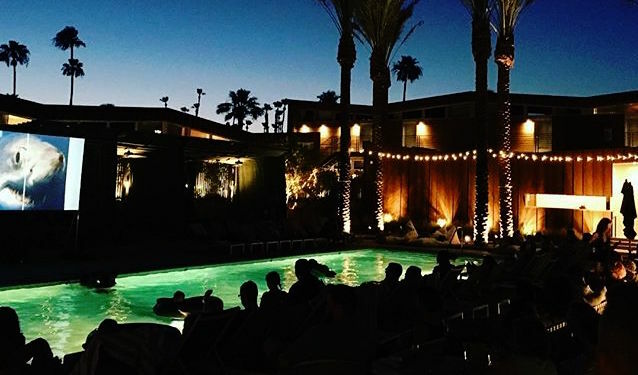 Just in case you hadn’t yet noticed, we should point out that Palm Springs is one of the hottest spots in California right now. 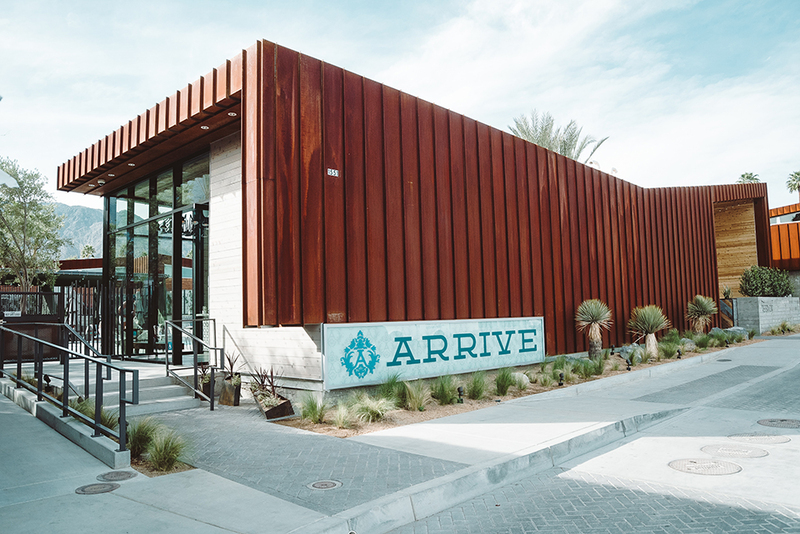 A whole bunch of new downtown developments have given an extra boost to a desert resort that was already well on the up, and everyone seems to want to join in the fun. 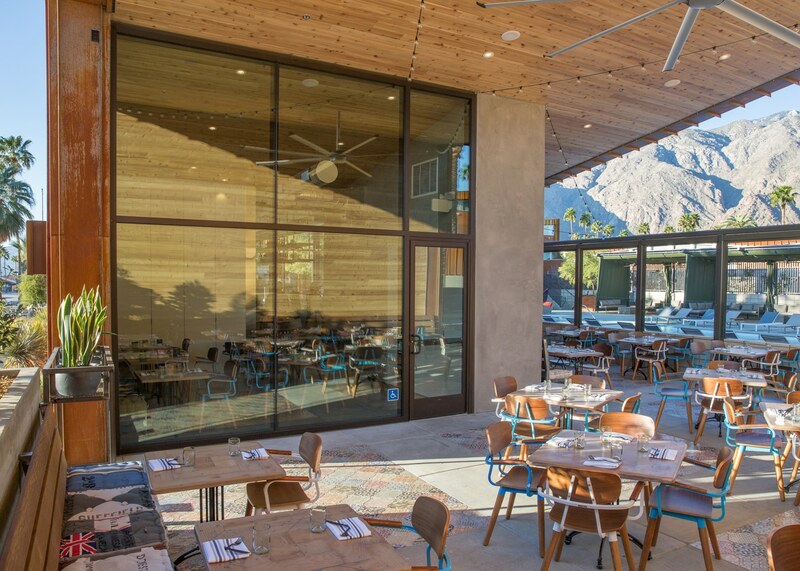 Of all the new openings – smart hotels, unique galleries, hip boutiques and trendy restaurants – the one that has definitely caught the fun, holiday vibe that encapsulates Palm Springs is ARRIVE. 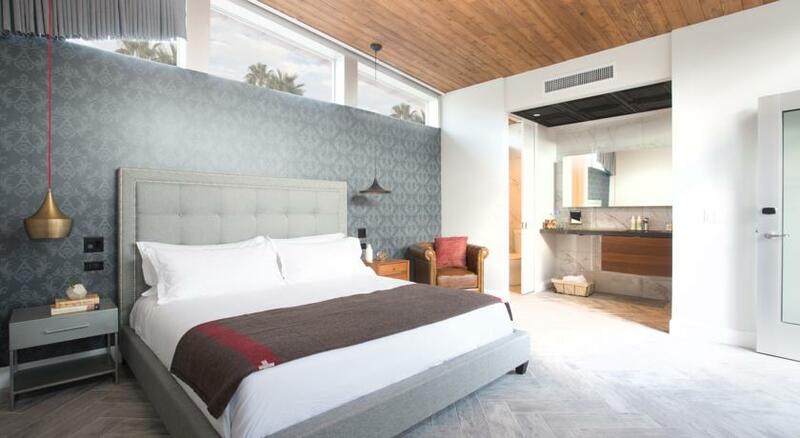 This is a 32-room boutique hotel located in the Uptown Design District. One of the first hotels that you will pass upon entering town and immediately noticeable – it has a striking, landmark design that looks looks like it is part of the rich modernist legacy, but is in fact, brand spanking new. 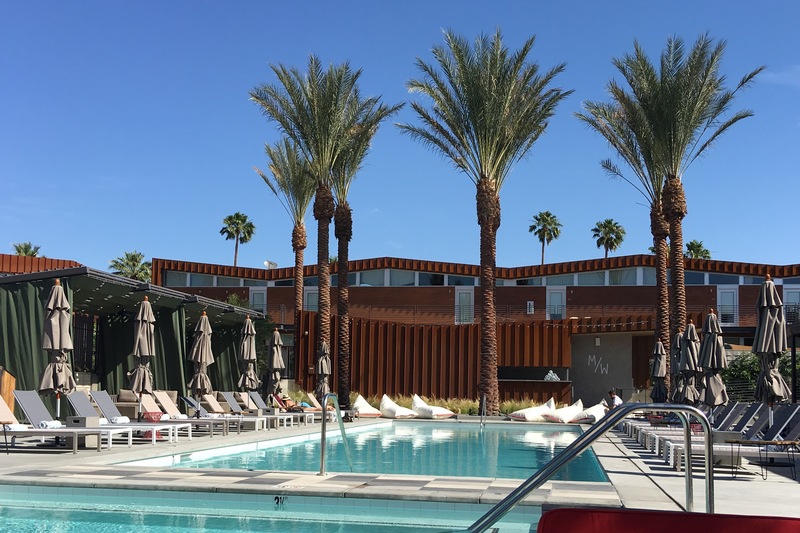 The architecture draws from the town’s rich mid-century architectural legacy, with its distinctive butterfly roofs, distinctive CorTen steel siding on every building, and the clerestory windows that run the length of the hotel rooms. The uniquely-furnished hotel rooms, many of which feature private patios with fireplaces offer stunning mountain views, albeit via high level windows only. The large central pool area boasts private cabanas, a bocce court and games area, communal fire pits, and an oversize spa. 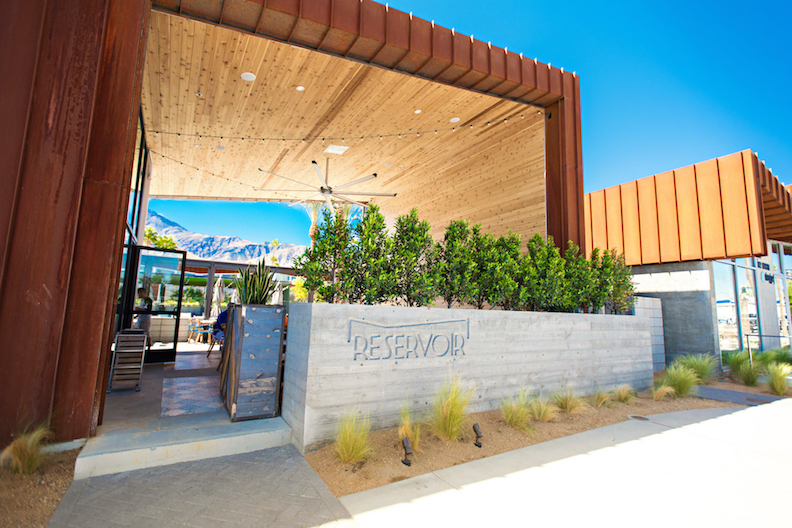 The property is anchored by Reservoir, offering modern Southern California cuisine in an open poolside setting framed by the towering San Jacinto mountain range. 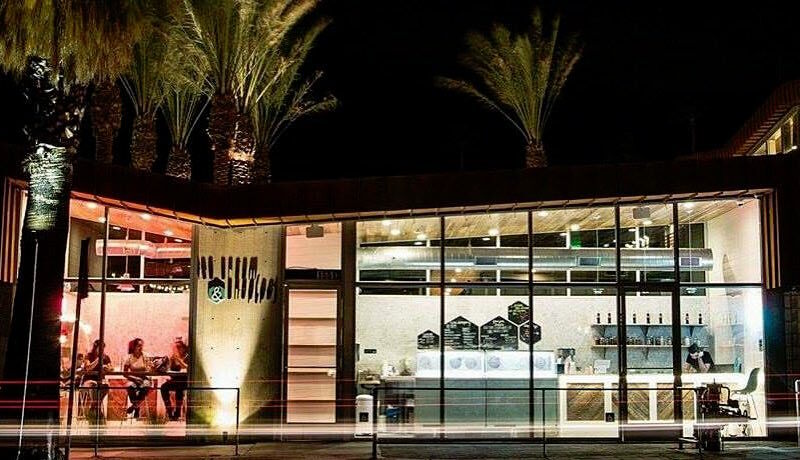 It also houses Customs Coffee, which features local small-production roaster Joshua Tree Coffee Company, and the Ice Cream Shoppe, with artisanal ice cream desserts. This is not a spot however for those seeking peace and quiet or secluded luxury. It is clear that ARRIVE is different right from check in – there is no front desk. You register at the bar and all hotel and concierge services are available via text message. The WiFi is always free, and the minibar is priced just like the nearby convenience store. Refreshingly every single staff member is trained and empowered to help guests with any question, any request, and any recommendation needed. The atmosphere is distinctly orientated towards having fun. Anyone is welcome at the hotel pool and the bar seems to be open all night (actually until 2am). There are happy hours late afternoon and ‘after hours’ late evening where often the scene is very much ‘pool-party’. Events are frequent and original – how about a ‘Dive-in’ Movie poolside watching Jaws on a giant screen – either poolside, or even better still, in the pool along with the inflatable sharks! You may by now gather that it almost doesn’t matter how good the dining or cocktails are; the pool area would in any case be a magnet for a fun clientele. 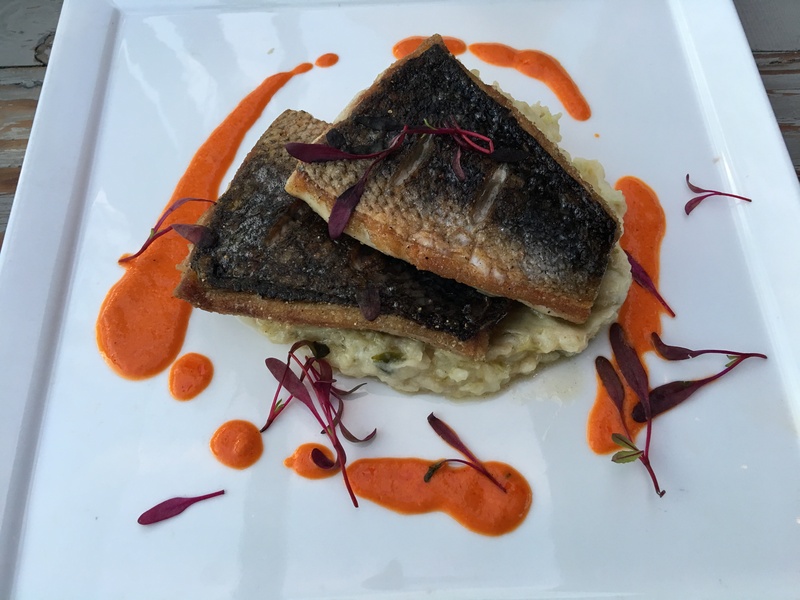 But the food and drink is excellent and worth a detour. 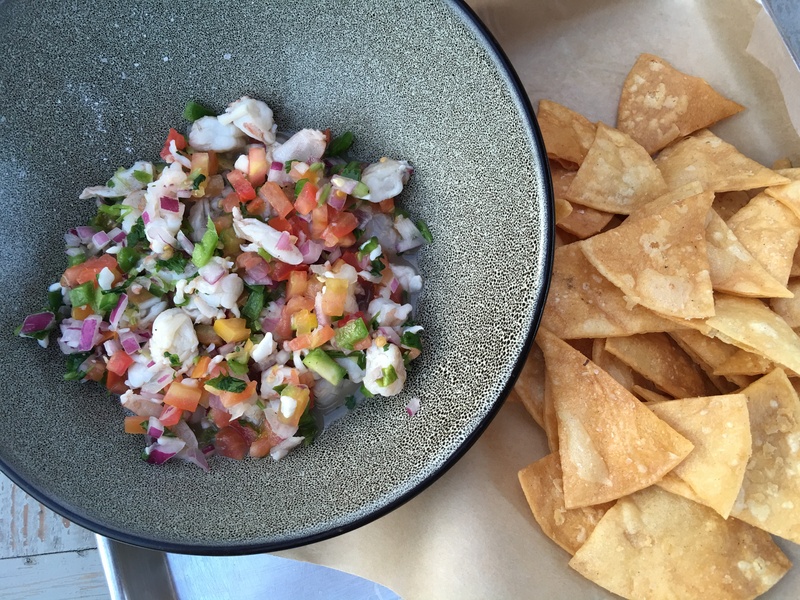 We started with some wonderful, and very fresh ceviche with home made tortilla chips. 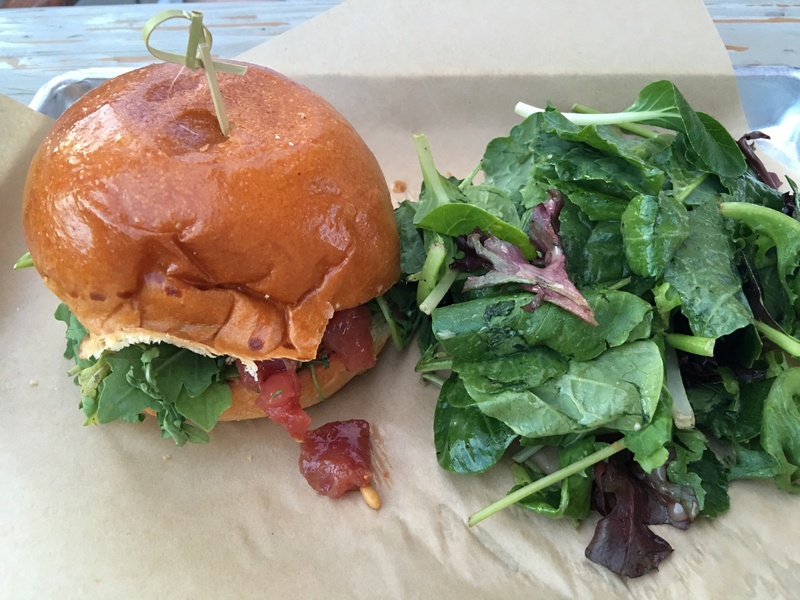 To follow we picked a tasty and spicy vegetarian bean burger with salad and a side of home cut fries, and a perfectly pan-fried sea bass with mashed vegetables. For dessert we opted for a selection of delicious home-made ice creams from the Ice Cream Shoppe. We should add that we enjoyed the above with the most stunning mountain views. Very special. 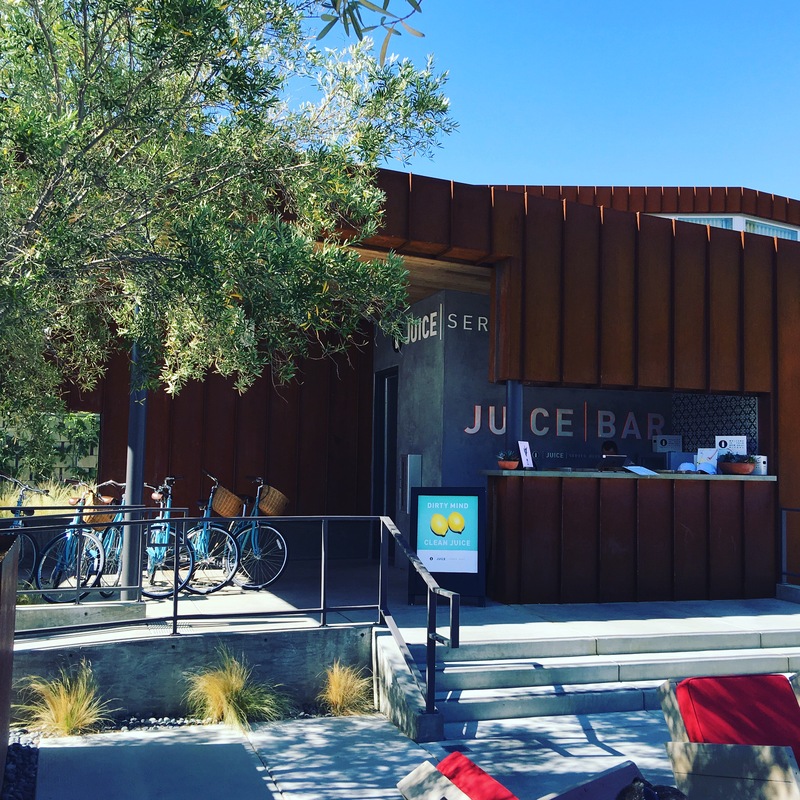 Reservoir is actually open right from breakfast – lemon ricotta german pancakes and huevos rancheros scramble looked appealing – through brunch, lunch and dinner. Choices are all interesting and original whilst offering a healthy twist (if you want it!). This is a spot – as I am sure you can imagine – that can get quite busy, but you can avoid crowds by picking timings away from weekends or peak evenings. But hey, why not just bring your swimwear and come join the party? CELLOPHANELAND* were guests of ARRIVE and Reservoir.